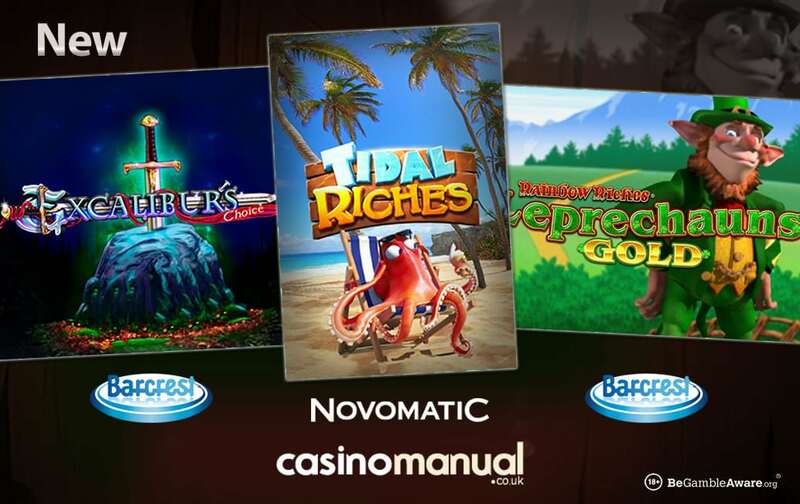 Ocean adventure, Irish luck and a trip to Camelot feature in the latest video slots – Tidal Riches, Rainbow Riches Leprechaun’s Gold and Excalibur’s Choice. 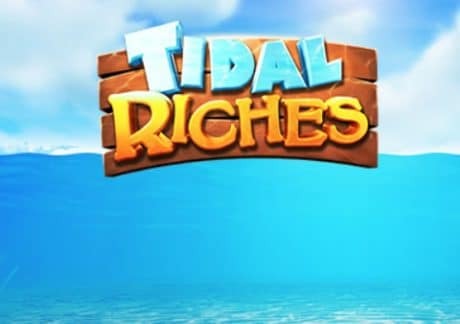 We’ll first take a look at Tidal Riches, which is a bit of a departure for a Novomatic video slot. There’s a genteel feel to the aquatic design and the action takes place on a symbol drop game engine. You’ll start on a standard 5 reel, 20 payline machine. Land a winner and the animated octopus to the right of the reels drags a plant to open up a 6th reel and increase the paylines to 30. More symbol drops wins in a row increases the paylines to 40 and then 50. Winning symbol drop streaks can also deliver free spins complete with special transforming treasure chest symbols which can appear in single, stacked, 2×2 or 3×4 formation. Up your stakes to activate Hi Roller mode and you’ll bring colossal wilds into play. Not as volatile as some Novomatic video slots, Tidal Riches can still deliver waves of exciting action. 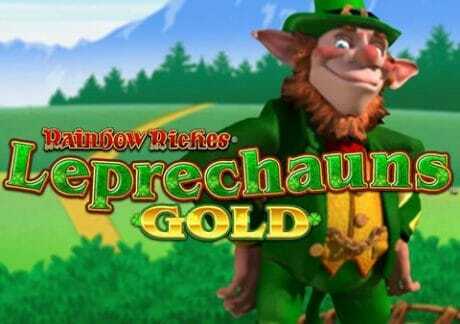 Hope to experience the luck of the Irish in Rainbow Riches Leprechaun’s Gold. This latest game in Barcrest’s popular series is played using an unusual 7 reel, 50 payline game engine. The design will be instantly familiar if you’ve played any of the Rainbow Riches video slots. There’s a solid range of extras on offer here too. Look out for transforming symbols as well as a bonus round where you can win up to 25 free spins complete with extra transforming symbols. Like many Barcrest game, you’ll have the option to activate Big Bet Mode. This opens up the special Rainbow Reels. These can deliver wild scatter cash bonuses and an expanded paytable when you manage to trigger the free spins round. Get lucky here and you could find pots of gold at the end of the rainbow. The third new release, Excalibur’s Choice, transports players back to the court of King Arthur. This 5 reel, 10 payline video slot is a simple one. The no frills design is rather basic and it’s a similar story as far as gameplay is concerned. The only feature is the Free Games feature which awards up to 20 free spins. Before they begin, 1 symbol is selected at random. When this hits during the free spins, it expands and fills the whole of the reel. These special symbols pay scatter style too. Excalibur’s Choice won’t be winning any awards for its graphics or for innovation. This medium variance game can still deliver some decent action though and is a video slot to consider if you like Arthurian theme. Tidal Riches, Rainbow Riches Leprechaun’s Gold and Excalibur’s Choice are all out now – I recommend you play them all at Casumo Casino. Other new releases include Play ‘N Go’s Wild Falls, IGT’s Wild Fury Jackpots and Yggdrasil Gaming’s Cazino Cosmos. Sign up and take advantage of 20 no deposit Starburst free spins – on your first deposit, you’ll get a 100% match bonus up to £300.